As for the children, they are arrested in the middle of the night to avoid riots in their villages and neighborhoods, which would cause the Palestinian civilian population even more hardship. Rocks kill and crip[ple. Be a hero with your own children. attitude and behavior of Israel’s current Sect’y of Defense. He too would be an unwelcome guest here. I have also written to you many times that the idea that you can slander and defame entire peoples and nations as long as you don’t “get personal” and then claim academic immunity to shield yourself from having your qualifications, your biases and your motives scrutinized too closely is, I think, unique to self-styled “public intellectuals” like yourself who have abandoned scholarship to become polemicists airing their grievances and resentments. Historians certainly examine their sources at a personal level in order to evaluate their reliability and whoever sets himself up as an authority should be prepared to be examined in the same way. You are writing in a public forum in what many people, including myself, consider to be wild and irresponsible language. Anyone using words like Nazi and genocide with reference to the State of Israel should expect a response in kind. I wpuld also be a little skeptical about the testimony given by children or teenagers surrounded by their terrorist sponsors. Obviously it’s all of a piece. further that I have never replied in kind by attacking your integrity or demeaning you as an individual. Can there be any stronger testimony that the Israelis are on a par with the Nazis? Whatever happened to “never again!”? Like the roads for Jews only in the West Bank. The extermination process and cremation of the corpses in crematoria II and III went as follows. After selection for death, the Jews who could walk were marched from the loading ramp to the crematorium. The weak, the invalid, and the sick were transported on trucks. In the crematorium yard, the SS men told the prisoners that they would undergo a disinfection that consisted of delousing and bathing. The victims were led down the staircase to the dressing room in the basement, where they could see the signs (in German) “To the Baths” and “To Disinfection”. Similar signs were posted on a portable board in the native language of the victims. When the chamber was full or the entire transport was inside and the personnel had left (two SS noncommissioned officers always stayed until the end), the doors were shut, the bolts were slid into place, and the screws were tightened. On order of the supervising SS doctor (the job was assigned to, among others, Josef Mengele, Hans Koenig, and Hans Thilo), the SS disinfectors (Scheinmetz, among others) opened the Zyklon B cans and poured their contents into the vents down the induction shafts into the chamber. About a half hour after the induction of the gas, the ventilation was turned on, the door was opened, and Sonderkommando prisoners wearing gas masks began dragging the corpses out of the chamber. It took about four hours to empty the gas chamber. Initially the corpses were delivered to the furnaces on small trolleys that ran on rails, as was done in the main camp. The trolleys also served to load the corpses into the furnace retorts. This arrangement, however, did not last long. On the initiative of the Kapo August Bruck, special corpse stretchers, which could be rolled into the retorts, were introduced. To facilitate the loading, the corpse stretchers were lubricated with soapy water. About 2,500 corpses could be cremated in 24hours in each of crematoria II and III. Do you understand, Prof. Falk, why we find this Nazi business so offensive? “The Holocaust is over. We must move on.” (Avram Burg, member of Israeli Knesset). The Palestinians were not responsible for the Holocaust, and had no hand in it. Why do the hasbarists consistently blame them. A cover and diversion of/from their own crimes? Israel’s gratuitous cruelties are crimes against humanity, just as the Nazis’ were. Do you understand, Fred, why these comparisons are so necessary? You are the one who is invoking the Holocaust, Mr. Schulman. What does Avram Burg have to do with your comparison of arresting rock throwers and roads for Jews only with the murder of six million Jews? You should be ashamed of yourself, Prof. Falk, for blocking my reply to this kind of malicious garbage. which includes dealing with uncivil behavior. And what exactly is demeaning about asking Mr. Oolayforos what is “heroic” about blowing up Israeli women and children in buses and restaurants or murdering them in their homes? or expressing my doubts about whether Miss Knightly has “witnessed” all the transgressions she enumerates, and pointing out to her that it is terrorists who are killed or incarcerated and that the well poisoning business wreaks of the medieval Church and that rounding up a few dozen or a few hundred Israeli soldiers in an army where hundreds of thousands serve to supply horror stories to an eager audience is less than meaningless? demolitions that have no security justification (Halper insists on the basis of extensive experience that less than 5% do). Perhaps there will come a time when Palestinians will no longer be scapegoated for WW2. There are people who care deeply for other people’s children and demonstrate this in a variety of ways. Some live in Israel and care about Palestinian children. And they care about what their own children are being taught to inflict on others – the effect that it has on them as people. There are high school children, called Schministim, who are refusing to serve in the Israeli military upon graduation. There are videos of them on line denouncing Israeli treatment of the indigenous people. Other young refusniks are incarcerated again and again for desertion. Check the video of Natan Blanc, Omer Goldman, and others. I spent time with some very young soldiers who came to NYC to escape the military. They testified at the UU church in Brooklyn stating that they would no longer break into Palestinian homes in the middle of the night to terrorize the families. It was often for no reason other than to generate fear and submission. They also told us about the tactic called – Provocation and Reaction used to start stone throwing. One can research this easily. One soldier said that he would never be able to erase the scene of those frightened children and his part in their plight. Another stated that the military would insult and harass young Palestinian boys to create an incident so they could beat/arrest them – or provide targets for snipers. I have witnessed the Israeli military in action myself. What kind of people can destroy homes/villages, poison wells, steal land, destroy crops, and subjugate/kill/incarcerate the rightful owners? And blame their victims for the crimes. Not all Israelis – but far too many. General Matti Peled resigned from the military following the ’67 war and with other retired officers became a very dedicated activist. His plan was not an Eretz Israel but a withdrawal from occupied land and two states. His daughter, who paid a heavy price, was aware of other people’s children and blamed Israel for the deaths/inhumanity on both sides. And we must never omit the sponsorship of US, UK and UN in these actions. People on this blog get insulted for caring about other people’s children by one who admittedly does not. Please consider the source before taking offense. There is debate and de bait. Don’t fall for the latter. As usual, Laurie, very well expressed, and capturing the spirit of what I was trying to convey. I will try harder to heed the guidance of your final line. I should be specifically simple: those who are in satanic seals and in blood-lines of satanic seals – they will Blaspheme existence of God, they will blaspheme Spirit of God and they will blaspheme the Church because Spirit of God trough Jesus Christ of Nazareth is in the Church. They always hiss- they do not stop, and always ready to bite at opportunity – like their father the devil. How can anything be a nest of vipers and like a nest of vipers? importance without your patient guidance. By the way, Prof, Falk, I believe it is I who am being labeled as someone who does not care about other people’s children. I am tempted to return the compliment but I will leave it to you to clarify for Laurie your policy about personal insults. and tried to persuade you to participate civilly or not at all. Once again: Do you believe that calling murderers heroes (Oolayforos) does not warrant a reply? Do you believe that likening the arrest of stone throwers and “roads for Jews only” to the systematic extermination of six million Jews (Schulman) does not warrant a reply? I have not observed the slightest pretense of balance in your comments, and so why do you lecture me? Falk, as usual you run from the truth. Why don’t you include this in your forward to the book? Or is adding balance against your religion? No one is lecturing you. We are challenging you. You are, as you say, the host, so the burden of proof is on you. What we are challenging is the quality of the evidence you present to support your assertions or allegations, which derive solely from other polemicists who share your views and almost by definition do not meet the minimal standards of investigation or scholarship. That really isn’t good enough. No, I am not posing as a scholar and I am not even saying that I am objective. I am challenging your assertions. If you were to say that Obama was a Muslim or was not born in the United States and were to cite Donald Trump or some other Republican “critic” as your source I would point out that Donald Trump has a bias and is not by any measure an authority on the subject just as Jeff Halper, Uri Avneri, Gideon Levi and all the other critics that you cite for no other reason than that they share your views are also not authorities. as harshly as you do, whether you intend it or not, is insulting and demeaning. Fred is here only to discredit your blog and drag you, and those who agree with you, through the mud. He is right that he is not a scholar, but he is indeed a polemicist. As long as you tolerate him and respond to his bullying tactics, he is winning. He wants your blog, discerning and honest as it is, to disappear. Most of your usual commentators seem to have already been chased away. I, personally, would not object if you blocked all of Fred’s comments, along with those of the likes of Aaron (Falk-Uncensored), Rabbi Ira, et al., so the issues you raise can be discussed, as you put it above, civilly. this is a different game being played in the blogosphere! Thanks, Gene, for this necessary mentorship!! How do Prof. Falk and Mr. Schulman know what’s in Fred Skolnik’s head? Might not he simply be dissenting with their views by presenting an abundance of contrary evidence? Indeed, they deny him the respect they demand of others. Theorizing that Fred seeks to destroy this blog runs counter to observable facts. When Fred and others post, the number of participants increase. When Fred and others take a break, neither the quantity nor quality of comments increase. In fact, they tend to decrease with the vacuum filled by Ray’s quotes from the New Testament, Kata Fisher’s theobabble, etc; none of which is likely to attract serious people seeking serious discussion. This blog has never attracted a large following. At one time, when the number of subscribers was listed, that number hovered around 1000 or so. (n.b. The number of readers who don’t formally subscribe undoubtedly is larger). Frankly, I’m surprised by the apparent paucity of interest. Prof. Falk has been a prominent figure for a very long time. I’m also surprised by the absence of Palestinian participants, and participants from academe. I have some thoughts as to why, but I’ll keep these to myself. In light of recent mention of the Holocaust on this blog, a note of clarification is in order. To my knowledge, with one notable exception, no prominent Israeli has blamed the Palestinians for the Holocaust. That exception is Prime Minister Netanyahu, who recently told the Knesset that Haj Amin al –Husseini, grand mufti of Jerusalem, had persuaded Hitler to change his original intention of expelling the Jews to annihilating them. He was roundly denounced by a large of diverse group of political leaders and scholars. A gross insult to the Allied soldiers who fought and the 14 million or so who died in that conflict. Please withdraw that disgusting calumny, not least for the sake of Jews everywhere unwillingly associated with such a self-centered, malicious falsehood. Few have come right out and admitted that they blame the Palestinians for the Holocaust, but then why are the Palestinians treated and punished as if they were the cause? Every time there is an Israeli aggression against Palestinians, the Israelis invoke the Holocaust as the justification – “we must defend ourselves – never again!” Isn’t it about time we began taking Burg’s advice, and stop using the Holocaust as the justification for every illegal war against the Palestinians? Ira, if you read my comment above, you will note that I quoted Burg’s statement in full. No need to repeat it as though something had been left out. “As I read the book, I couldn’t help thinking that Shavit was no different than all the trolls who comment on blogs that criticize Israel and its racist policies toward the Palestinians. They all go out of their way to rewrite the history of the Palestine/Israel conflict in order to defend Israel’s existence. Shavit doesn’t so much rewrite as he omits. Yes, he tells the story of Lydda, but then apologizes that it had to be done, or else his family would not be Israelis. Israel would not exist. This is pure hasbara. Why should Palestinians be murdered so his children could be born and live in Israel? One more remark: The Yeshuv was as guilty as anyone else for the abandonment of European Jewry. Shavit’s “new” Jews wanted nothing to do with the “Yekkes”. Your are reasoning backwards. Israel would be defending itself in the same way if there had never been a Holocaust. Who wouldn’t against an enemy whose declared aim has been to destroy the state and massacre its population? No one is blaming the Arabs for the Holocaust and no one is invoking it whan Hamas fires 4,500 rockets at Israel’s civilian population or its freedom fighters blow up Israeli women and children. Israel is responding as any other country would respond. why you have recourse to such personally insulting language, destroy the messenger if you cannot bear the message. The holocaust is used to justify what has been done subsequently in Palestine – a reparation package on the backs of innocents. To my knowledge, it has not been referenced in other terms by moral critics. I suspect that you may very well understand this. And is the number 40,000, the census of holocaust survivors who are living in abject poverty in Israel? The term ‘holocaust survivor’ is used broadly but pales in comparison to the obvious opportunists who claimed a piece of the spoils. Sure, time to move on. It was successful………..
Oh yes, and it was a Palestinian, Haj Amin al-Husseini, who convinced Hitler to exterminate Jews. He would never have done such evil deeds had it not been for this persuasion. So it must have been a Palestinian who was responsible for WW2. Such power this man possessed! 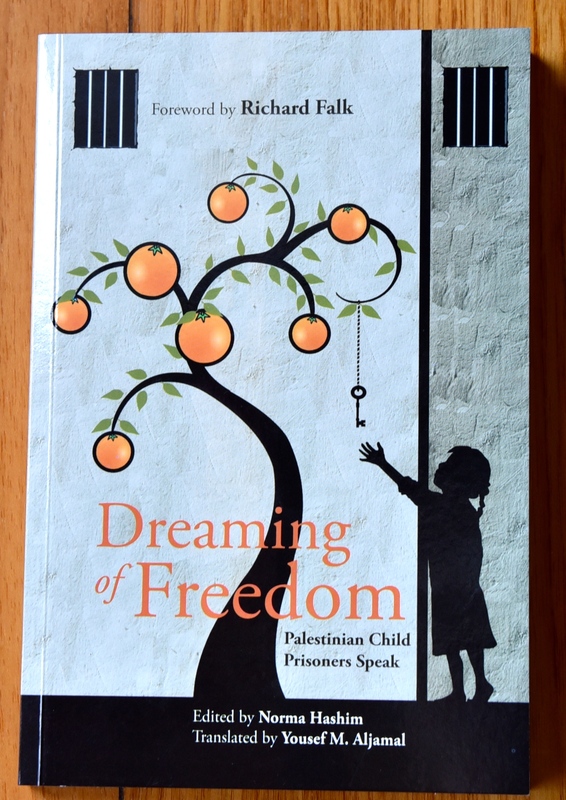 The subject was centered on the lasting trauma inflicted on Palestinian children. If the Z team acknowledged/admitted/cared about these children, I missed it. Not only does Fred in particular seem unfazed by the testimony, he suspects they are lying – while being surrounded by terrorist sponsors. I stand by any and all statements that I have submitted. What need would I have to define in any manner the ethics/motives/empathy of these men? Do they not elucidate that sufficiently without any personality assessments from me? Why did your delete my most recent comment after briefly posting it? Who complained? Fred Skolnik and I have been accused of impugning motives, questioning integrity and driving away serious discussion. Why are we denied the right to respond, especially when these same tactics are used against us? are my reasons. I owe you this courtesy of an explanation, which judging from past experience, I don’t expect you to swallow. The comment you censor and condemn is nothing more than a measured recitation of provable, albeit inconvenient, truths. Under the misleadingly benign rubric of owing me the “courtesy (!) of a reply”, you hurl a public and intensely personal attack on me and a document you prevent readers from seeing. Now that you’ve spoken your piece, it’s only fair that you post the comment you censored so that readers can draw their own conclusions. you find Fred Skolnik a welcome bedfellow..
I’m traveling today and won’t have time to respond to your comment except to thank you for restoring my original post. It was an act of both decency and courage . One brief item: I’ve re-read my comment and can’t find my using the phrase “your admirers”, as you claimed. And if I had, would it be an improper way of describing folks like Gene, Laurie and Walker Percy who repeatedly and explicitly express their admiration for you? You know very well that to identify someone as an ‘admirer’ in this way is to deprive them of their primary identity. which makes me wonder why you bother with it, and keep returning..
As I wrote, Prof. Falk, the ploy of “depersonalizing” the most violent slander is unique to polemicists like yourself. No, you have not “replied in kind” to me, as you assert above, you have done much worse, because you do not seem to grasp that when you call Israelis Nazis and accuse them of genocide you are calling me a Nazi and accusing me of genocide. I served on active reserve duty in the Israeli army for nearly 20 years, searched Arab homes, arrested rock throwers, pursued terrorists, defended the country’s civilian population against barbaric attacks. To suggest that any of this is Nazilike is simply repulsive and indicates that you, and certainly your admirers, have lost every modicum of restraint in venting your vindictive hatred of Israel. Exactly how do expect someone you call a Nazi to respond to you? of criticism. And you wonder why allegations of hasbara and troll flow in your direction. I’d like to explore your assessment of my blog comments. You write: “I have often received hate mail over the years for a variety of issues, but nothing that is crafted with such obvious malicious intent.” Wow! Considering the hostile reactions your views elicit from mainstream academics and social activists, I must be one terrible dude. Or maybe I’m not. Let’s see. Several days ago, you castigated me for referring to a group of folks who post on this blog as your “admirers”, because (you said) failing to mention them by name robbed them of their individuality. This is at best, a stretch. I can’t imagine that someone like Gene Schulman who frequently posts statements of admiration for you would be offended. But stranger still is the fact that I never wrote the words you criticized. You can check. They’re not there. And when I told you that, you doubled down by insisting that my intention in posting them was to demean the blog. Regrettably, but revealingly, you rarely if ever cite the offending word or phrase, so neither I nor anyone else can evaluate the accuracy of your allegations. But I do know a little something about hate speech, having served a term on the Illinois Governor’s Commission on Hate Crimes. To say that anything I’ve written on this blog, or anywhere else, is hate speech, indeed the most malicious hate mail you’ve ever received, is entirely groundless to the point of being irrational, or as you might put it, “mean-spirited”. I won’t speculate on the psychological and/or logistical factors that drive you to use allegations that are easily disprovable by readily accessible evidence to build a straw man. At times, your charges are so ridiculous as to be laughable. You accuse me of being in league with the hardest of Israel’s hard liners, while the record shows that throughout my long career as a Jewish professional, I’ve consistently and vigorously opposed the Occupation and advocated for Palestinian rights both inside Israel and in the Occupied Territories. And I’ve made my position clear in my postings on this blog. It would appear that in your mind, anyone who isn’t 100% in agreement with your views is 110% opposed, an enemy of the Palestinians, and an unwanted intruder on this blog. My imagination? Well…not so long ago you clearly stated that you wanted comments only from those who believe that Israel is totally, or near totally to blame for the conflict. As you may recall, I wrote you privately to suggest that this could best be achieved through a password protected blog. But so long as entrée was open, you would have to accept whatever comments were sent, or act as censor. You’ve chosen an ill-advised mash-up, making civility the sole criterion for acceptance while enforcing the rule in a consistently one-sided manner, and treating the dissent that gets through with clenched-teeth disdain. Richard, as you may remember, I began following your blog at the suggestion of a mutual friend who felt you were being treated unfairly by mainstream critics. He’s still my friend, as he is yours. But I am now persuaded that he’s wrong. You ask, why do I hang around? I sometimes ask myself that question. And in fact, I spend very little time with the blog. My guess is that I hope to somehow initiate a meaningful dialogue with you or somebody else whose views of the Israeli-Palestinian conflict are mostly different from mine except that we both share a commitment to Palestinian national fulfillment in the context of a just and equitable resolution based on the concept of peaceful co-existence of two states for two peoples. I haven’t found that person yet. But who knows? I appreciate the care you have taken with this response, and it makes me aware that I have not expressed myself as well as I might. of those who share my broad frame of reference. There is plenty to disagree about within this frame even with respect to Israel/Palestine. Also, this blog was never conceived to be predominantly about Israel/Palestine, but rather an outlet for a broader set of interests. an Israeli extremist who despite the realities of the situation justifies Israel’s every action, and is crudely and consistently abusive to me and others. I have blocked many of his posts that are filled with invective and tendentious reasoning. had nothing whatsoever to do with Israel is illustrative of why I have reacted strongly to your various personal attacks over the life of the blog. experience would have also led you to choose one or the other of these alternatives. I guess I keep responding to you because I somehow believe that we should be able to express our differences without losing the high ground of civility. You are misrepresenting my views. There is nothing extreme in the view that Israel’s response to acts of terrorism is justified, This includes returning fire in Gaza when the country is under rocket attack and the checkposts, security roads and arrests in the West Bank. This represents the view of the majority of Israelis and is perfectly natural. the point, but it is not the whole story). MY personal criticism of Israel or the idea of meeting anyone halfway is not the issue here. We are not involved in negotiations. When an allegation or assertion is made that I find to be false, I say so and I argue my point. As for respect, I have had my say about that.